Nintendo has a new handheld video game system it released pretty much out of the blue on Thursday. The 2DS XL is basically a 3DS XL without the 3D, with a smaller physical footprint for more portability, but with the same size large, dual displays you’ll find on the 3DS XL. The new console hits store shelves July 28, so we’ll still have to wait a while to get our hands on one, but it has a wallet-friendly $149.99 price tag that’s likely to attract some fence-sitting 3DS fans. The Nintendo 2DS XL follows in the footsteps of the 2DS, the 3DS alternative it released in 2013. 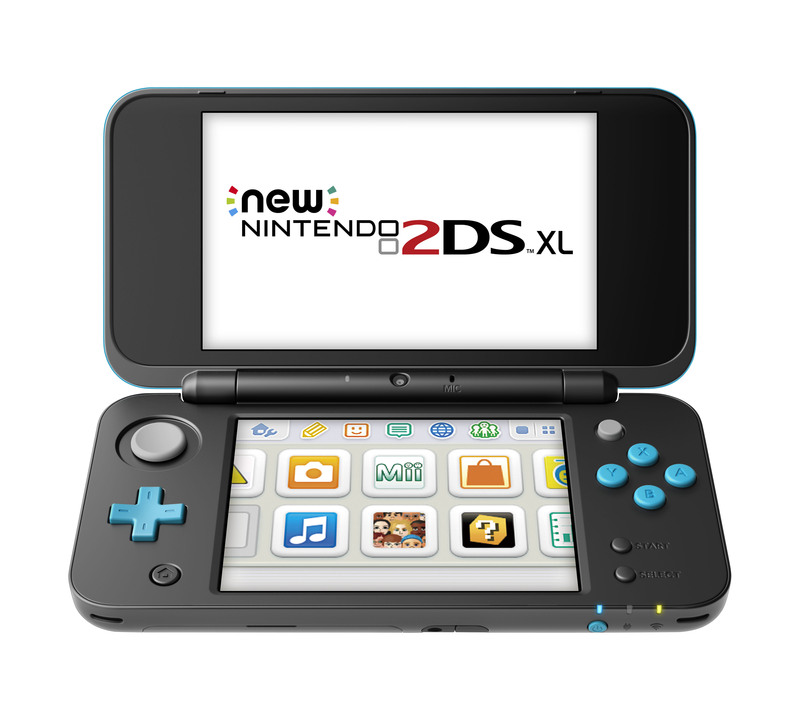 But the 2DS has stacked screens, without the clamshell design of the 3DS, which the 2DS XL does have. The folding top is better for portability, and allows for those much larger displays. The 2DS XL also has all the upgraded processing power of the New 3DS XL, which came out in 2015, and which boasted improved performance for more demanding games. This looks like it will be a terrific option if you’re not yet a 3DS console owner, because, frankly, the 3DS features have questionable value for most users (mine is almost always dialed all the way off) and you get significant savings versus the 3DS XL, which retails for just under $200 as of this writing. The 2DS XL also features the new C Stick and ZL and ZR buttons introduced on New 3DS XL hardware, and it’s smaller and lighter, which is a huge benefit when you’re talking about a device meant to be carried with you in your bag. Nintendo also put NFC support in the 2DS XL for Amiibo support, and it supports the same game lineup, which includes some stellar titles like Pokémon Sun and Moon. Two new games are launching alongside the 2DS XL, too, including a new side-scrolling Pikmin franchise installment called Hey! PIKMIN, and a Mii-focused game that blends RPG and strategy elements. Many observers wondered what Nintendo would do with the 3DS line now that the Switch is both a home and portable console — looks like it’s not planning on retiring the dedicated portable, at least not for the foreseeable future.